The pinnacle of combat optics, in my opinion, is the ACOG. Ever since I was first issued one in the School of Infantry, Infantry Training Battalion, I’ve been impressed. 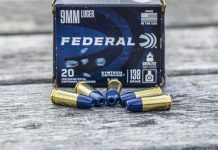 I carried one on various platforms for years professionally and it’s one of those pieces of gear that I truly loved in my Marine Corps experience. With my fanboyism on full display can I admit the optic can be improved? Browe thinks so. 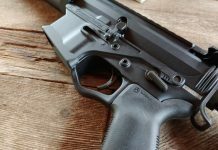 Browe Inc was founded by Brian K Browe, a former Director of Operations at Trijicon Inc, founded Browe Inc with the idea to improve the Rifle Combat Optic. We will be finding out the answer to that question soon. Browe Inc sent me their Browe Tactical Optic designed for the 7.62x39mm. 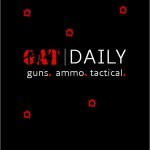 I’m tossing it on my SIG 556R and I’m planning to run it through its paces in the next few days. Before we do that let’s get our introductions out of the way. 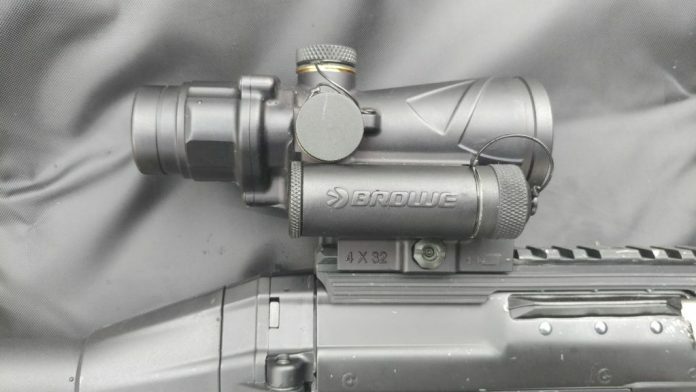 The Browe is roughly the same size and weight as the ACOG and features a fixed 4 power magnification. The Tactical Optic has a QD scope mount. 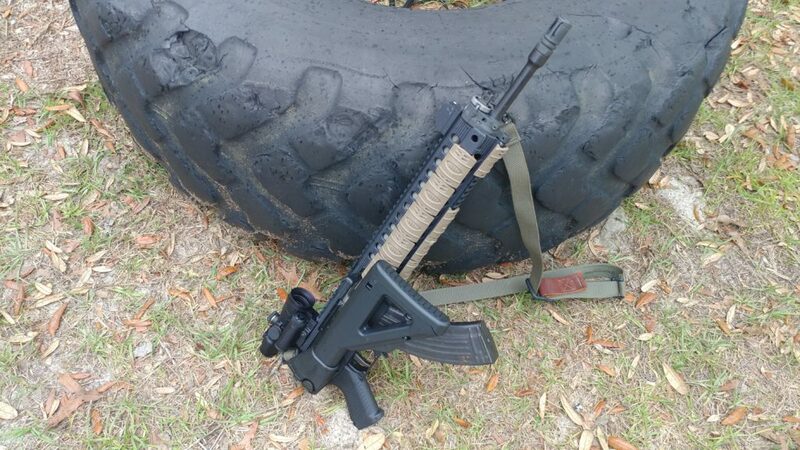 The optics look like they could be cousins, but the Browe is a distinctive optic. What Sets the Browe Inc TO Apart? The first thing that sets this optic apart from an ACOG is the fact it doesn’t rely on tritium or fiber optics. Brian saw this as a weakness, and I’d have to agree. 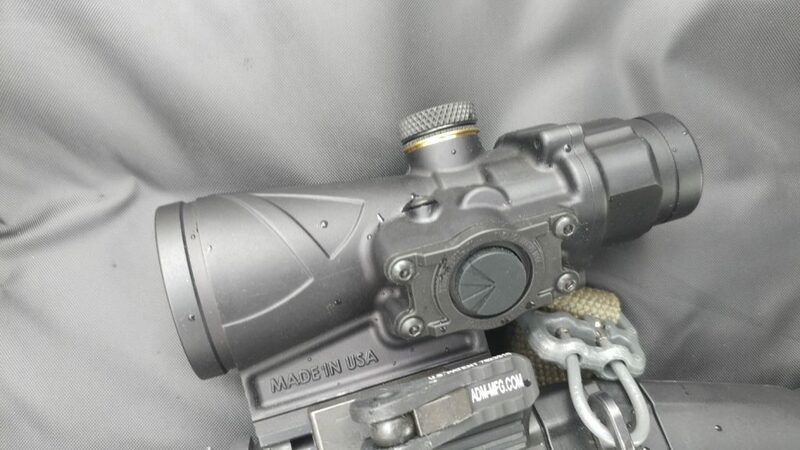 It’s handy when you are deployed to Afghanistan and don’t need to worry about batteries, but if you bought your own ACOG you spent around a grand for an optic that will eventually burn out. How long you plan to use the optic is up for debate, but my dad has been using the same Redfield rifle scope since he was in his twenties. Browe Inc also uses something called the target light sensor technology. This automatically adjusts your reticle brightness level, but with a twist. Anyone who used an ACOG knows it does the same thing. Sometimes it gets way to bright and the best solution was duct tape over the sensor. Other issues would pop up when you were in a brightly lit area aiming into a dark area. The reticle would be too bright for what you are aiming at. The Browe optic does do things differently. It adjusts the reticle based on what you are aiming at, not from where you are standing. If for whatever reason this feature isn’t needed you simply switch to manual mode. The closest thing to manual mode on an ACOG is the previously mentioned duct tape. The Browe Tactical Optic I have has 10 daylight settings and 3-night vision modes. The entire system is controlled by one simple button and the controls are simple and intuitive. People asking, “What if the batteries die?” are on the money to a degree. It’s a concern, but one Browe is attempting to mitigate. The Browe Tactical Optic is equipped with a vibration motion sensor that will automatically turn the optic to sleep if no motion is detected. The battery life on the Browe is 775 hours on max brightness, and 2000 hours is the average lifespan on lower settings during regular use. Speaking of batteries this optic uses a single Surefire Lithium 123A. A lot of my love tied to the ACOG is based on the intuitive and easy to use reticle system designed with a ballistic drop reticle. The Browe Tactical Optic features a very similar reticle, complete with BDC, and illuminated chevron. 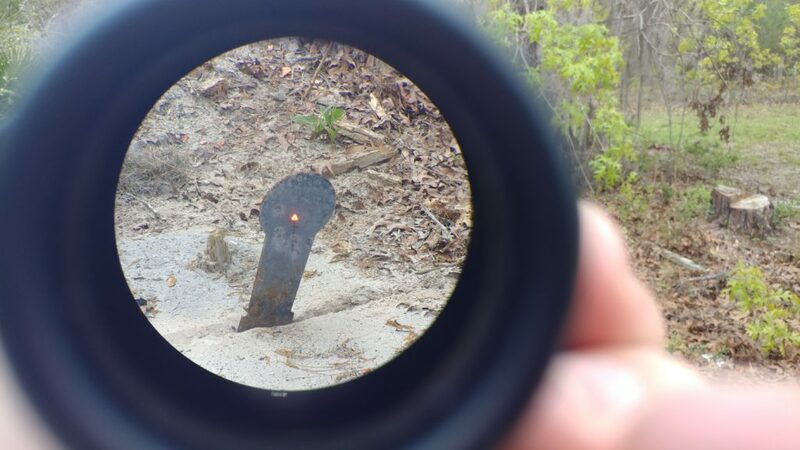 I haven’t taken it shooting yet, but looking through the optic takes me right back to being Corporal Pike, USMC. 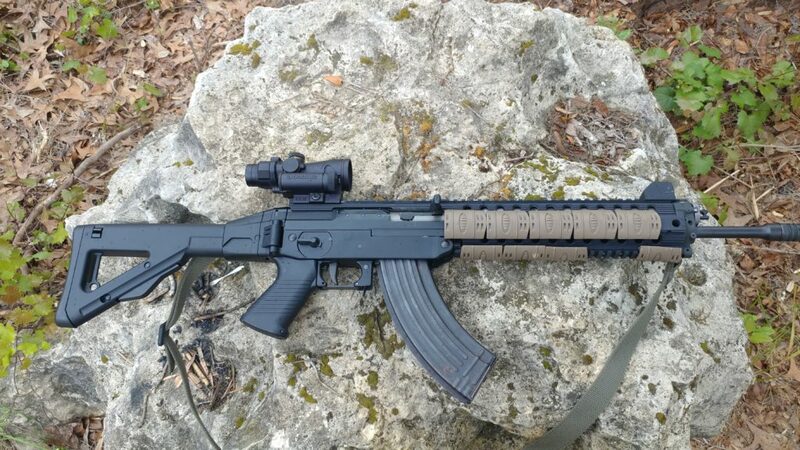 Another love of the ACOG is I could beat the hell out of it. How is the Browe Tactical Optic built? Like a tank. 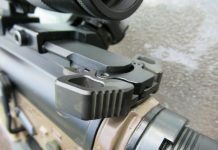 It’s 7075 anodized aluminum and the Tactical optic has an integrated mount so the system is one solid piece. The optic itself is waterproof up to 42 meters and built rugged. The glass is crystal clear, the reticle is easy to see, and I can’t wait to get out and shoot with it. Watch this Space for an In Depth review of the Shooting performance of the Browe Tactical Optic. Will it unseat the ACOG as the pinnacle combat optic in my eyes? We’ll find out soon enough.